If you’re looking to spend a Saturday afternoon searching through thrift shops, the East Village should be your shopping destination. You’ll find everything you’ve been craving from 80’s Gucci bags for under $200 to plaid button downs for $7. No Relation Vintage is a large shop filled with printed t-shirts, furs, military jackets, and leathers. They are known for carrying many items from the 70’s and 80’s. There is a shoe section in the back with boots and heels lining the walls. To find the hidden gems, shoppers will have to spend some time searching. Make sure to wash any of the items before wearing them to the nearest dive bar. 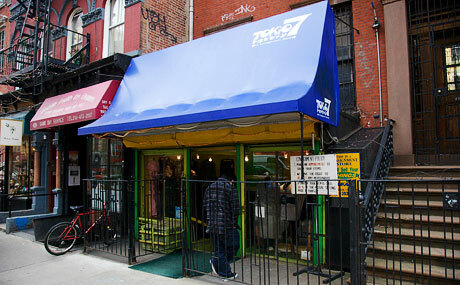 For designer items, visit Tokio 7. This consignment shop is no polyester place. The racks are filled with high-end staples and accessories in luxe materials from Marc Jacobs to Prada for a fraction of the retail price. 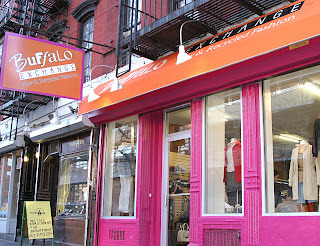 Buffalo Exchange, a national chain boasting “new and recycled fashion”, has an East Village location. Customers can sell their clothing for trade or cash on the spot. Whatever Buffalo Exchange can’t buy or trade from you, can be donated to charity. Many items average around $15. 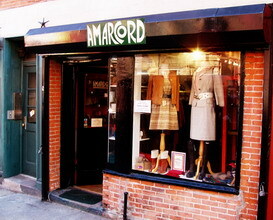 Amarcord, which closed their East Village location, is still worth mentioning as they are thriving in Soho and Williamsburg, two of my favorite neighborhoods in the city. From Chanel earrings to Pucci dresses, there is a wide selection of luxury items displayed around the store. All of the items are in practically new condition and the boutique atmosphere leads to a relaxing shopping experience. Love Buffalo Exchange's concept of buying or trading our stuff & they donate to a charity the items they don't feel will sell in their store. Great ideas! !